For many in the floral industry, the summer signals a shift to focusing on wedding flowers, and all of the textures, tones and design styles that are splashed across wedding planning magazines and social media feeds. But for many of us, the fresh flowers in our world are a reminder of loss.Maybe a friend or co-worker has lost a family member and is struggling with the realities of that loss, while also planning funeral services and selecting flowers for the memorial. 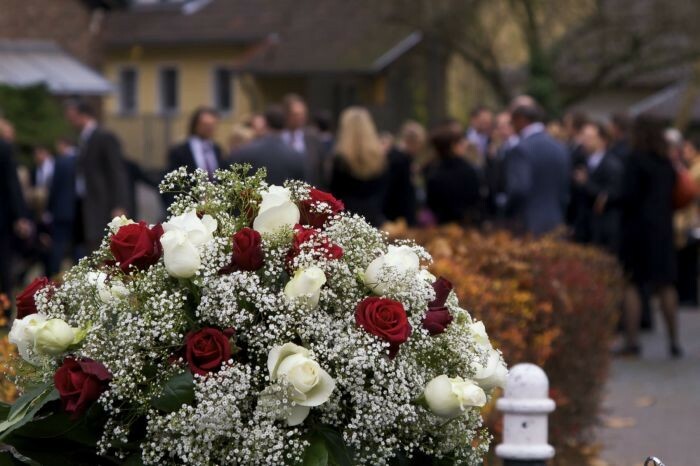 Or, maybe you have personally experienced a death in your circle of family and friends, and find yourself at the memorial service surrounded by the beauty and fragrance of fresh flowers, sent by your family and friends to celebrate and commemorate the life of your lost loved one. Another difficult but important discover for us is that the loss of a child, including an unborn child, posed an immediate and also a lasting emotional challenge on a family. The immediate emotional toll is difficult enough, but the reality is that this loss is something that families struggle with in a real way for the remainder of time. A customer once explained to us that by making the memorial flowers into jewelry, the family members each had something tangible with them every day, and this helped them feel a connection on a daily basis in a small but significant way. Lastly, some of our most cherished friendships and relationships are those with our furry family members; yes, with our pets. I took my 11 year old daughter and my grandfather to see the movie Dog's Life at the theater a few years ago (it was the only movie appropriate for an 11 year old and a 91 year old that I could find;) and to my surprise, I spent 2 hours weeping with the entire audience. Watching the passing of a beloved pet in a fictional scenario immediately reminds all of us of our own experience with the loss of a pet, and if you've been through it, you know why we were all welling up watching the movie. Over the years we have been asked to preserve flowers from pet memorial ceremonies, and we even work the cremains from pets into our jewelry. Each of our Bloombeads jewelry items is packaged in a gift-ready box and bag, and can include a commemorate insert that includes a photo of the flowers before they were preserved, and can include a custom message or information about the flowers or loved one. While moments of grief and loss can sometimes be the most challenging times of our lives, they are also moments in which we have an opportunity to need and be needed. It is through our gestures and gifts that we let those in our lives know how much they really mean to us. It is a true honor for our company to play a small role in helping people support one another with these thoughtful and carefully hand-crafted gifts. 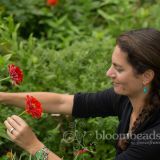 Co-owner & Co-founder of Bloombeads | freezeframe. Resides in downtown Dayton with her family; an avid yoga enthusiast and community supporter. Tuesday, 17 July 2018 Looking for a perfect wedding gift? Wednesday, 25 April 2018 Are High-Profile Projects Good For Small Businesses? Monday, 16 April 2018 What Dayton Ohio Company Will Be Featured on National TV This Week? Monday, 09 April 2018 What's the Best Kept Secret for What To Do With Wedding Flowers After the Wedding?